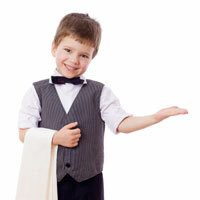 This article is part of our “Cooking Up Language With Signs” series, which features a recipe and accompanying sign language word list to get you started on an interactive cooking activity that is great for spicing up language learning at home or in the classroom. Today I’m cooking up peanut butter reindeer / Rudolph cookies. 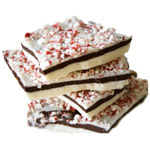 They are a cute and fun treat that kids love. Here is a pre-built word list created to go along with the recipe. 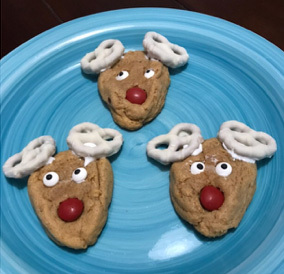 These cookies are great to go along with the Rudolph the Red Nosed Reindeer book or song. I’ve also created an article and word list for the Rudolph the Red Nosed Reindeer book. 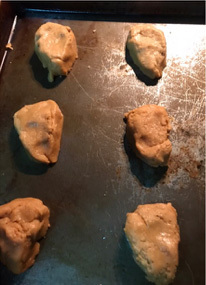 I like to use a peanut butter cookie base for these cookies just because it gives you that nice brown color for your cookie, but I know some people have peanut butter allergies and some schools won’t allow you to have it in school. That doesn’t mean you can’t make these. If allergies are an issue, use a sugar cookie or something else and just frost the cookies with a brown frosting. If you are using peanut butter cookies, I know Sam’s Club has a great way to save time by using their big boxed sets that come with a couple bags of all the dry ingredients already mixed together for you, AND because they also have the Hershey kisses in them that you aren’t using for this recipe, it’s a bonus chocolate treat for you and the kids! Shape your dough on the pan in more of a triangle shape, rather than a circle. 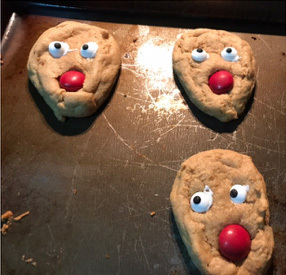 This will give you a nice face of a reindeer. These turn out so cute, it is hard to eat them. But not that hard. They are tasty! And my little helpers thought of ways to make the whole reindeer team by changing out the nose color using different colored M&M’s. Let them have their fun! 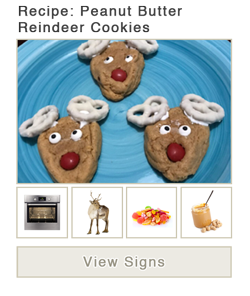 Enjoy making cookies of Rudolph and Santa's whole team of reindeer. Use the pre-built word list created to go along with the recipe to help you as you make this tasty recipe.